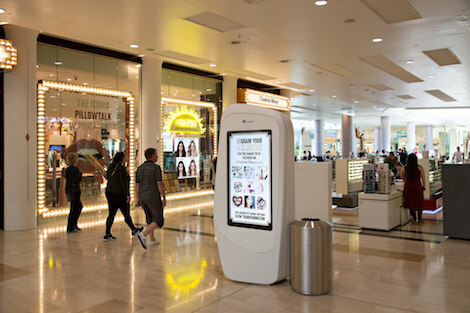 Charlotte Tilbury Beauty has launched a dynamic, digital out-of-home campaign featuring user-generated content and a weather-triggered activation to launch its new #GLOWMO collection. Devised by OOH and location marketing specialist Posterscope and media agency Cream UK the campaign comprises two creative executions highlighting the performance of the #GLOWMO products, one triggered by weather conditions (high temperatures, low temperatures and rain), and the other featuring a real-time stream of beauty shots from people showing off their use of the Charlotte Tilbury make-up range. Cream is a UK based boutique marketing agency specialising in full service media and communication solutions targeting affluent, high net worth, & ultra-high net worth audiences. One of the fastest growing privately owned companies in the country, it has a reputation for facilitating remarkable interactions between audiences and brands. Cream’s rich portfolio of clients include Lacoste Footwear, Boodles, The Watch Gallery, Charlotte Tilbury, Heal’s, Constance Hotels, William & Son, Kurt Geiger, and Land Sec. This entry was posted on Tuesday, July 4th, 2017 at 16:34 @731 and is filed under DailyDOOH Update. You can follow any responses to this entry through the RSS 2.0 feed. You can leave a response, or trackback from your own site.